SYNOPSIS: Great overlooked 70's exploitation. 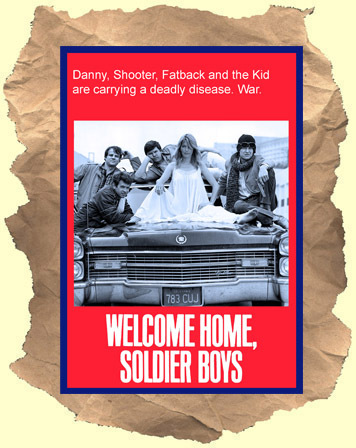 Heading up a strong cast Joe Don Baker stars as a former green beret leader with his three soldier pals (Koslo, Vint & Street) returning home from Viet Nam. They find their reception back in the states to be disappointing and at times hostile. After their tour of duty fighting they find that no one really cares about these soldier boys (giving the film it's ironic title). They buy a used car a travel across country working their way to California. On their road trip they meet various characters including a funny Geoffrey Lewis, redneck sheriff Billy Green Bush and Francine York. The finale is a memorable bloodbath as the four men shoot up a small town and all it's citizens. Fans of "First Blood" and "Rolling Thunder" should enjoy this one! Great quality print.